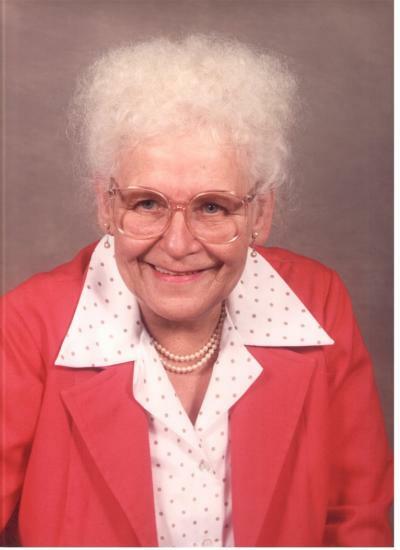 Martha Blanche (Madlo) Wilkins, 91, of Silver Lake, died Jan. 29, 2017. Funeral services were held Saturday, Feb. 4, at Faith Presbyterian Church in Silver Lake with the Rev. Carol Chmielewski officiating. Jacki Rossi was the organist. Casket bearers were six Legionnaires from Silver Lake American Legion Post 141. Interment was in the Faith Presbyterian Cemetery. Martha Wilkins was born March 24, 1925, in McLeod County, the daughter of Josef and Martha (Jancik) Madlo. She attended Silver Lake Public School and District 12. She was confirmed at Faith Presbyterian Church in Silver Lake. She worked in the defense plant in San Diego, California, and at the Naval Training Base during World War II. Here she met and married Donald Wilkins on May 4, 1946, at the North Chapel, Naval Training Center, San Diego, California. During their time in the service, they lived in Honolulu, Hawaii, Tokyo, Japan, Washington, D.C., and Chanute, Illinois, and spent some time in Chico, Texas. After Mr. Wilkins’ retirement from the service, they moved to Glencoe in 1961. They shared 36 years of marriage before Mr. Wilkins died in 1982. In September 1993, Mrs. Wilkins moved to Lakeside Manor Senior Residence in Silver Lake. She enjoyed walking, playing cards, crocheting, puzzles and, of course, Bingo. She as an active member of the American Legion Auxiliary, the Degree of Honor, senior citizens and nutrition site in Silver Lake. She is survived by many nieces, nephews, step-nieces and step-nephews. She was preceded in death by her parents, Josef Madlo and Martha (Jancik) Madlo Honzalek; stepfather, Emil Honzalek; brothers, Stanley Madlo and Joseph Madlo; and stepsisters, Mildred Simon and Martha Chastek. Arrangements were with the Maresh Funeral Home in Silver Lake. Online condolences may be made at www. Submitted by admin on Wed, 02/08/2017 - 10:38am.